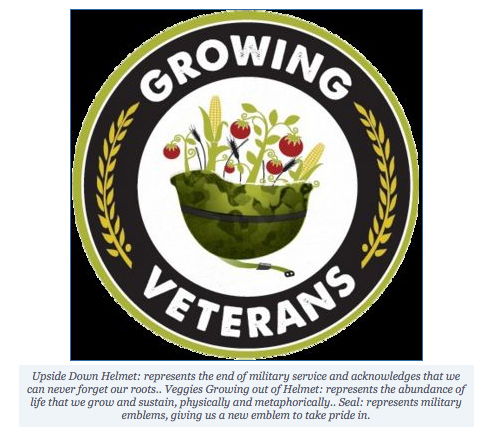 Growing Veterans (GV) was organized locally a few years ago to assist veterans who are having problems adjusting to life after their military service, especially those who served in combat zones. This entry was posted in Commentary, Information, Online Publication and tagged Bellingham Food Bank, Casa Que Pasa, Center of Innovation of Disability and Rehabilitation Research, Christopher Brown, Kulshan Brewery, Local Farms, Peer Support Training, Semiahmoo Resort, Skagit County, Sudden Valley Golf Club, Suicide Rates, Veterans, Veterans Administration, Whatcom County. Bookmark the permalink.